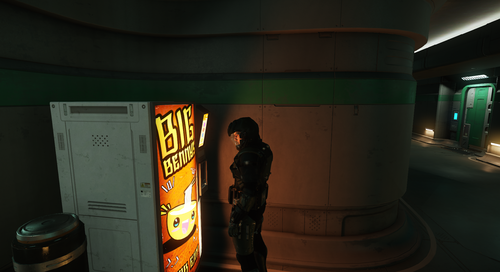 Ab sofort gibt es die Möglichkeit kostenlos die Star Citizen Alpha zu spielen. Dabei gibt es die Aurora MR, Hornet und Mustang Delta zum Testen dazu. Die Aktion läuft bis zum 25. April. Darüber hinaus gibt es einen Verkauf von limitierten Militärschiffen wie der Retaliator und der Super Hornet. Die Verkauf endet am 22. April. Ansonsten wiest CIG auf dem Monatsreport und Social Media hin. From time to time we like to open Star Citizen up to our fans, and provide access to ships they might not otherwise own. This is not only a great chance for players to try new ships out, but it helps provide additional testing for those ships, too! Star Citizen Alpha 2.3.1 – Also known as Crusader or the “mini-PU,” this is the nucleus of the world we're building! Featuring multiple space stations and environments, scripted missions, places to explore and more, Alpha 2.3.1 is your first look at a much larger universe! Arena Commander – Arena Commander is a 'game within a game' that we've used to develop our flight mechanics and ship combat balance. Take on human opponents or an AI swarm in single seat fighter. You can register for an account here to get started. If you already have an account from a previous Free Fly, you're all set! Just log in via the Star Citizen launcher and we’ll see you in the ‘Verse! We’ve issued another minor patch for Star Citizen Alpha 2.3 this week, focusing on a set of specific bug fixes identified during testing. Thank you as always to our talented backers who have helped us drill down on and now eliminate these bugs! You can find a complete list of changes here. April 15th is TAX DAY in the United States. For some, a time of dread where the government takes their money… for others, a small reprieve! If you’re in the latter group, we’re celebrating tax day UEE-style, with surplus military ship designs. We’ve brought back several limited ships through April 22. All four ships are currently flyable in the Crusader mini-PU. So if you’ve been waiting for a chance to crew a Retaliator or to zip around in a Super Hornet, this is it! Would you rather pick up something a little more physical? We’re having a limited sale on Star Citizen track jackets! The remaining stock has been discounted AND will ship with a free Star Citizen playing card/notepad bundle. You’ll be the envy of all your friends dealing Star Citizen cards in a handsome jacket. You can find the offer here. Last week we released our March Monthly Report. As always, it’s a comprehensive and in-depth look at the overall development of Star Citizen. So, maybe that wasn’t this week, but you should check it out if you haven’t anyway. It’d make us happy if you did. Want to meet the team making the game? Check out the personal Twitter feeds below!